The ReSound Multi Mic enhances your hearing and extends your listening range. 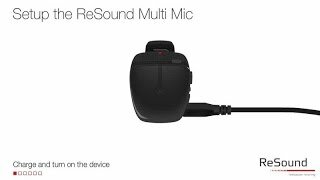 The Resound Multi Mic hearing aid microphone offers a small, flexible solution to let you hear up to 80 feet away* without having to wear an extra device around your neck. For one-on-one situations clip the ReSound Multi Mic vertically on to the clothing of the person you want to talk to and enjoy the conversation, even in background noise. Placed it horizontally on a table, and the Multi Mic turns it into a table microphone making it possible to hear what everyone around it is saying. 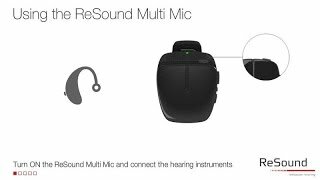 The Multi Mic also connects to loop and FM systems*, and has a mini-jack input for streaming audio from virtually any device with a headphones output.